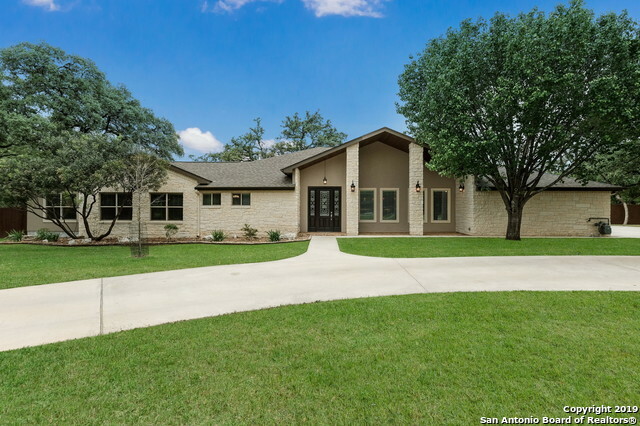 All HOLLYWOOD PARK homes currently listed for sale in San Antonio as of 04/25/2019 are shown below. You can change the search criteria at any time by pressing the 'Change Search' button below. 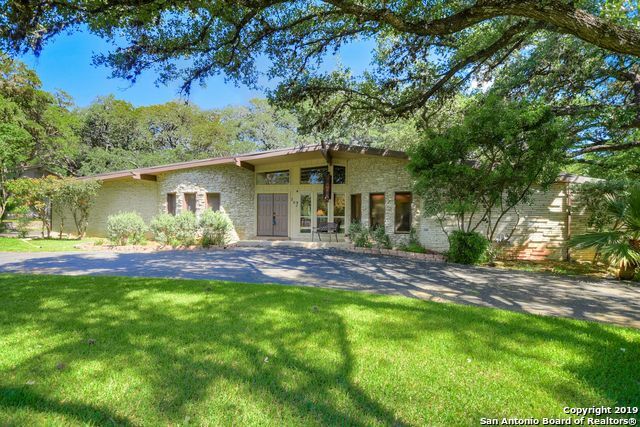 "Stunning 4/3.5 home w breathtaking views of North SA & Hill Country! Two living areas w/ hardwood flooring, vaulted ceiling, tiled fireplace. Gourmet kitchen w/ custom oak cabinets, corian counter tops, granite island, double ovens, retractable downdraft vent system, Wine Chiller. 2 Master Suites: Downstairs master w/ vaulted ceiling, outdoor entry, & tiled bath w/ carpeted walk-in closet. Upstairs master has 2 walk in closets & access to 2nd story deck. 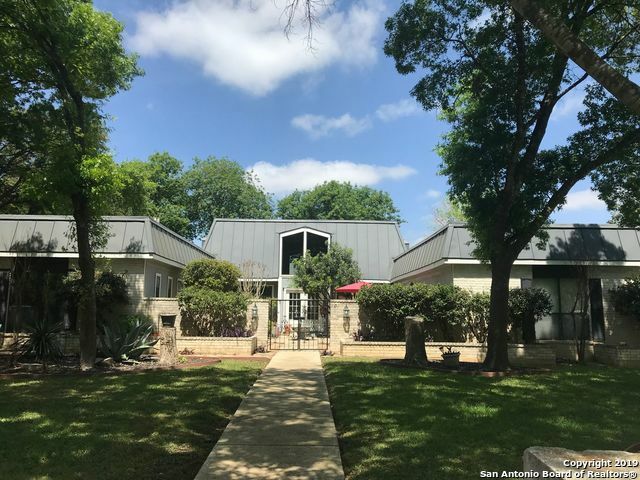 Backyard has over 2000 Sq ft of Multi-lvl"
"Everybody knows it's all about being inside 1604, this Hollywood Park home sits on almost 1 acre flat yard that looks like a park. Completely remodel in 2014, taken down to the studs. New wiring, A/C, raised ceilings to 11 ft, 9 ft in bedrooms complete list of details in associated docs! One stories like this are rare! Tons of places to entertain, concrete parking is unbelievable, very easy living where everyone can gather in the kitchen around the enormous island, all Bosch appliances, outdoor "
"Your own private compound! Over an acre of mature trees, ponds, gazebo, walkways, pool, patios & blissful privacy! Main house is 4 bdrm, 3.5 baths. 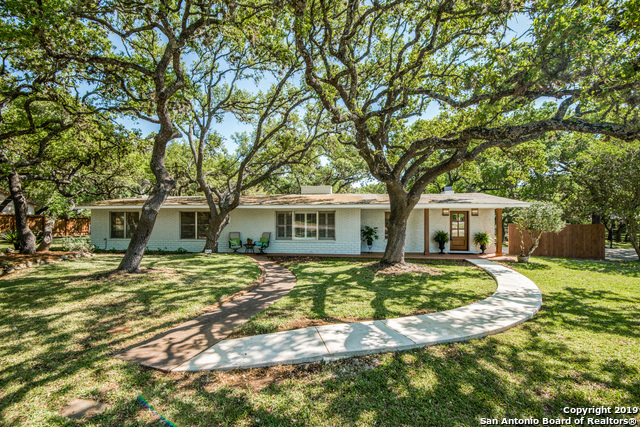 Charming original hardwoods & ceramic tile floors. So many living areas lend a flexible floorplan to entertain & enjoy! Two LARGE living & dining spaces. Granite kitchen, SS appliances & gas cooking. GRAND master w/2 closets & NEW SPA BATH! Guest house w/parking, kitchen, bath & utility rm. TWO NEW AC'S! BIG Garage offers 1114 sq. ft. 4-car tandem si"
"From vision to reality--look no further! Contemporary one-story featuring courtyard entry has been completely updated. *Pella windows*Energy efficient attic system*Dramatic 2-story Living/Dining Ceilings*Tons of natural light*Spacious kitchen*Stainless appliances*Open floor plan*Granite countertops*No carpet* White/Gray palette*Screen enclosed patio*Half acre lot*Private backyard oasis w/ lap pool*Amazing Neighborhood Amenities Center*Voluntary HOA*Easy access to 1604, 281, I-10, 410." "Beautiful ranch style home in coveted Hollywood Park. 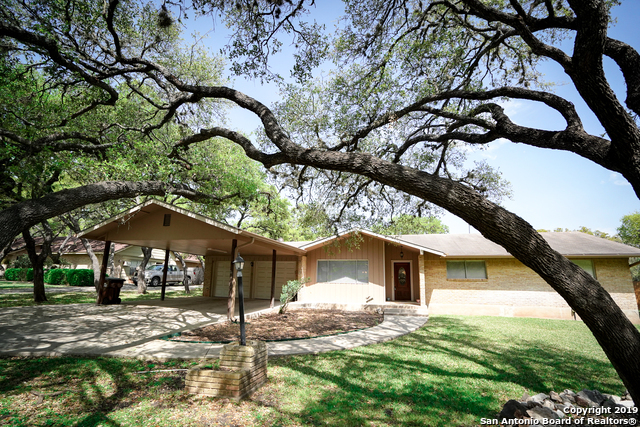 Nestled on.93-acre tree studded lot and featuring 5101 SF, w/ add'l 1500 sq ft work shop, 3 car garage & huge covered patio. 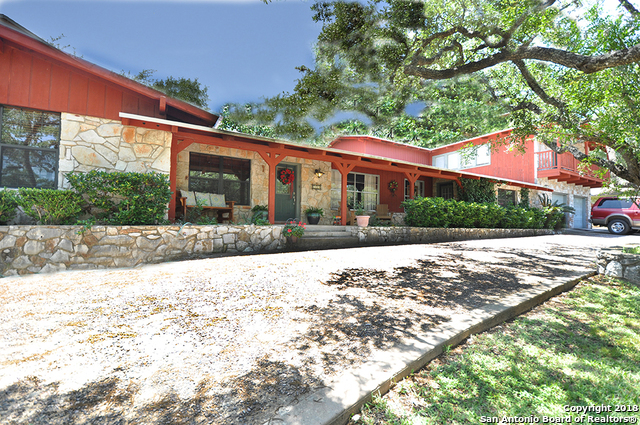 Includes 5 BD/4.5 BTH, 3 living areas, boast limestone walls, 2 rock fireplaces, custom cedar trim & exposed beams. Two of the bedrooms are master suites while one is a mother-in-law apartment w/separate entrance for income possibilities. Lg open kitchen, patio & custom bar make this home an incredible place for enter"
"Beautifully remodeled home on dreamy lot in Hollywood Park. Much thought was put into transforming this home into flexible living and entertaining spaces. Completely NEW master bath and spacious walk-in closet area with tasteful, high-end finishes. Both secondary baths have been updated. Freshly painted inside & out and new lighting fixtures throughout. One of the AC's & both water heaters are new. Upgraded electrical panel. Two fireplaces. Covered Patio. On a greenbelt, so yard appears much lar"
"Beautiful, Unique one of a kind home in sought after Hollywood Park neighborhood. This one story charmer that has just recently had many renovations done. Master bedroom, master bathroom, 2nd bath, new paint, new engineered wood floors, walls removed off kitchen area. Lots of special design features. The backyard is huge with lots of mature trees and park like setting. Relax on side patio with a cup of coffee or on the covered back patio. Truly an awesome home!!" "Motivated seller. 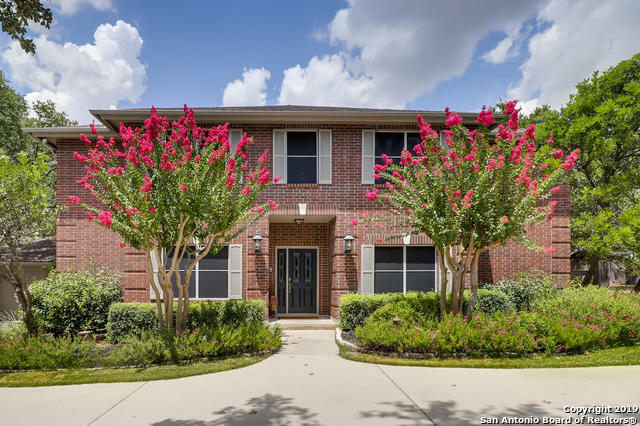 Don't miss out on opportunity to own this beautiful, well cared for custom built, 1-owner home is located in the very desirable Hollywood Park.Enjoy living at its best in this expansive very private lot, great for entertaining under beautiful covered porch. Retreat inside, relax by fireplace or lounge in the sprawling master suite. 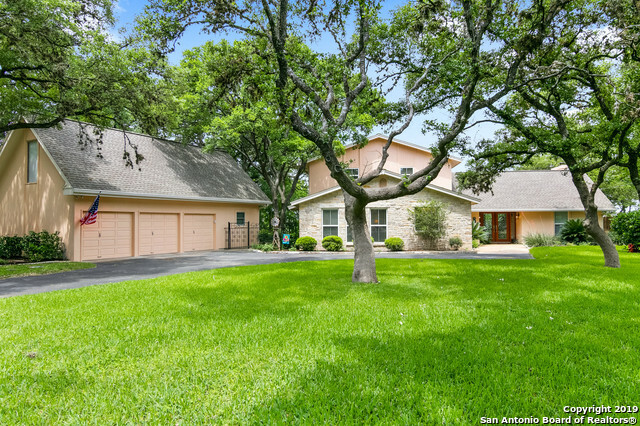 Master down, upstairs boasts 4 oversized bedrooms 2 full baths & beautiful gameroom. New carpet & paint.Orig. blue prints available. Home on city wa"
"One of the most beautiful yards in Hollywood Park - 3rd garage bay turned into a workshop can easily be converted back if buyer doesn't need a shop - 2 Fireplaces, crown molding- No carpet down- Lots of windows allow you to enjoy the beautiful landscaping - Big KT w built in stainless appliances, refrigerator & planning desk - Huge MR BR w fireplace & access to balcony, tub & shower separate & separate vanities - End of driveway going thru the back side yard can be boat or RV parking - Lovingly"
"Updated single story in coveted Hollywood Park! This home has an open floor plan, granite countertops, sunroom and large lot size. 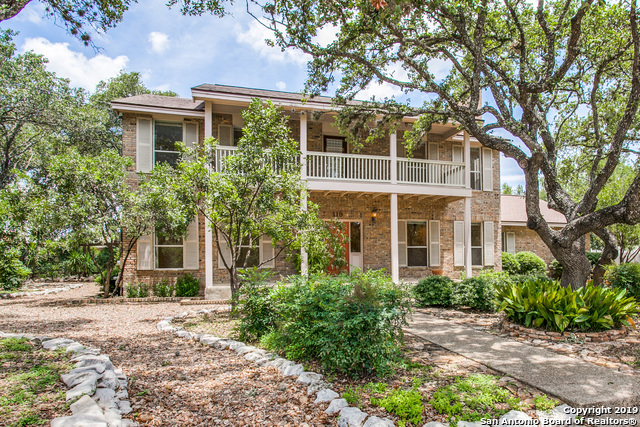 Enjoy one of the best locations in the city as you are minutes from 281 as well as 1604. Come see this tremendous value with a backyard that can accommodate as much as your imagination can dream up!" "Open House 3/3 from 1-4. One of the quietest streets in the hood. Over 48 oak trees. Flexible floor plan that could be a 4 bedroom and two living areas, 3 bedroom with 3 living areas, or 2 or 3 bedroom with an office. Covered RV parking or carport, a green house, and 2 sheds. The roof was replaced recently and the septic was replaced about 14 years ago with a lateral system. The remodeled neighborhood park is gorgeous. Access to Sonterra by golf cart."